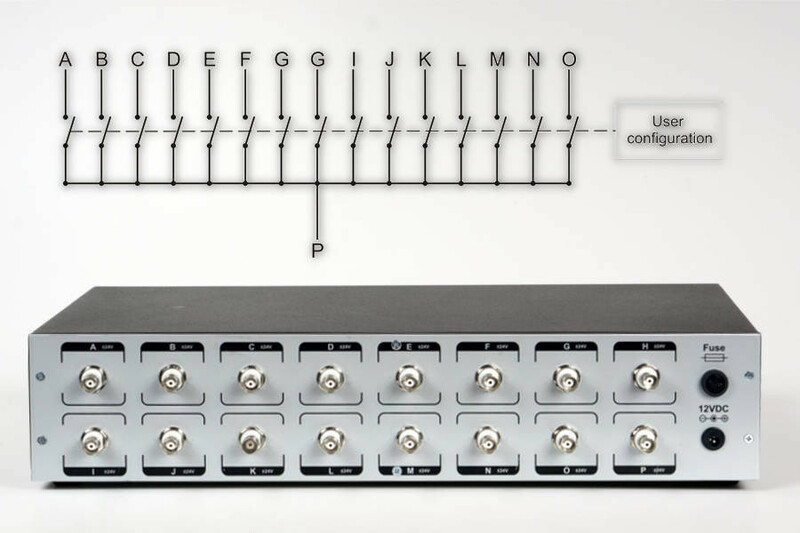 single – only one out of A to O ports can be connected to common port at the same time. 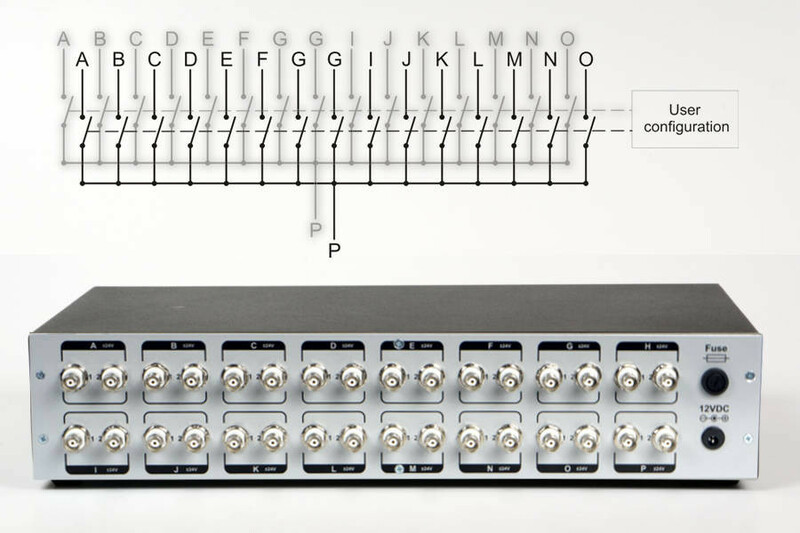 In this configuration the device operates as a classic analog multiplexer/demultiplexer. 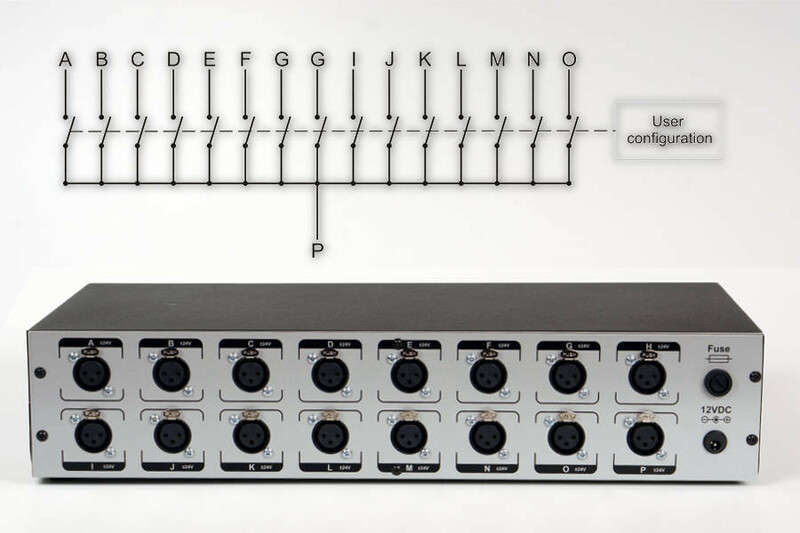 multi – there is no limit of ports connected to node P. Meaning that more than one port can be connected to port P at the same time. 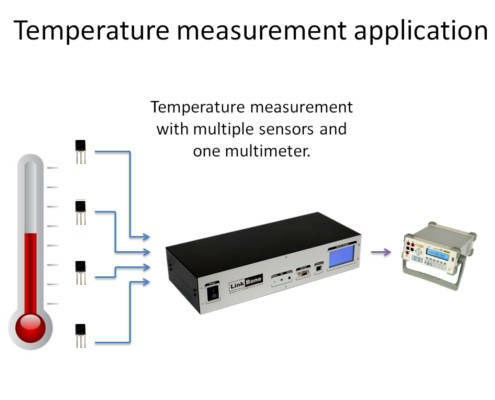 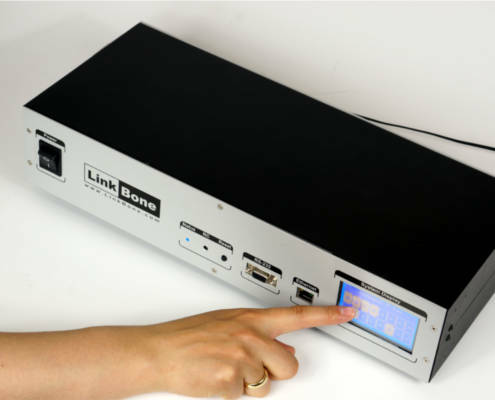 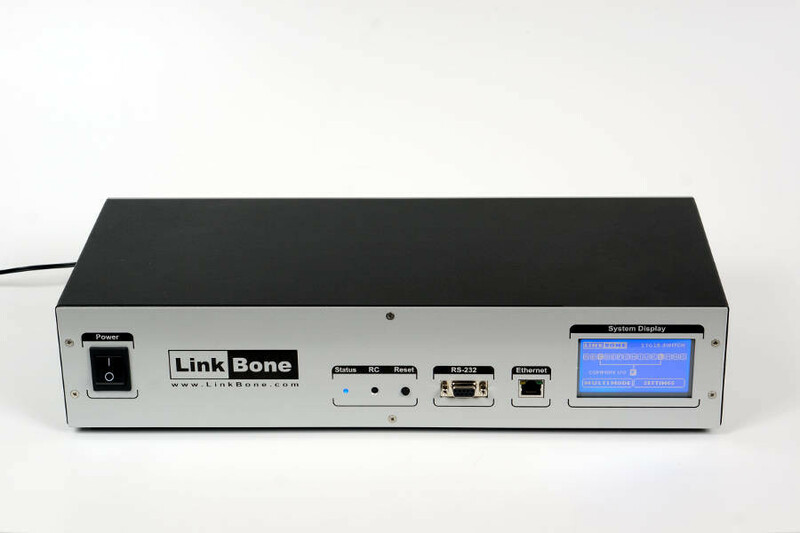 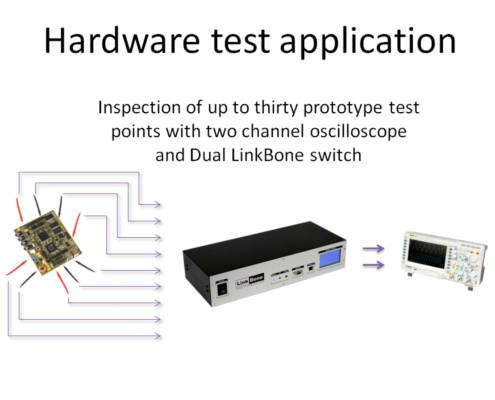 LinkBone BNC swtich is a perfect choice for measurement test automation. 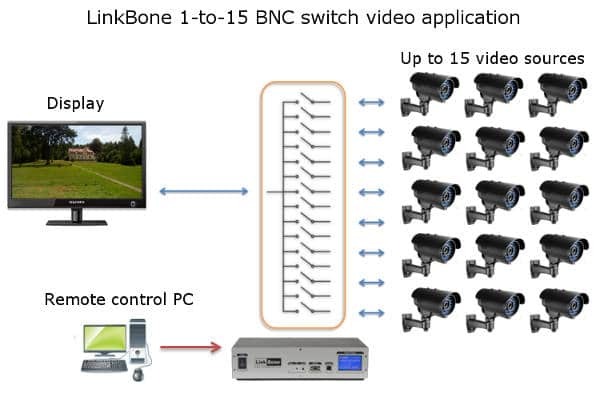 The BNC switch can be used in various applications. 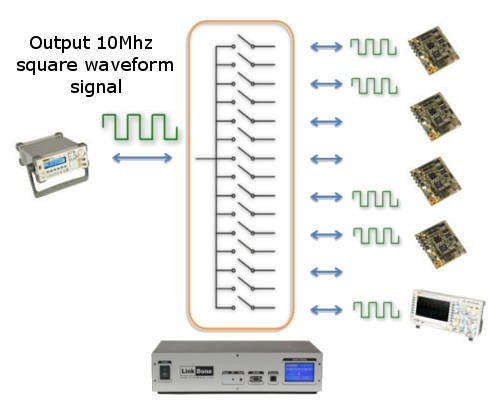 Starting from video and audio to more complex signals with high amplitudes and various frequencies. 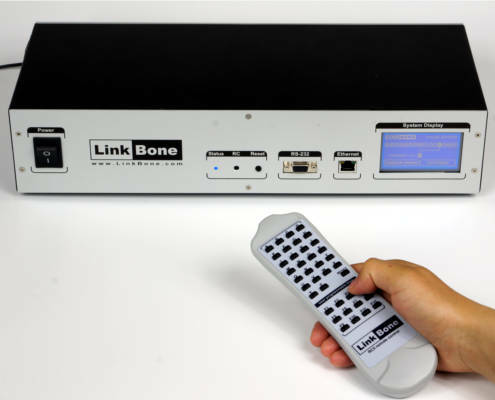 The remote control of the BNC switch can be done using Ethernet interface with easy to use user Web webpage or in more advanced applications via serial RS-232 connection or Telnet text commands. 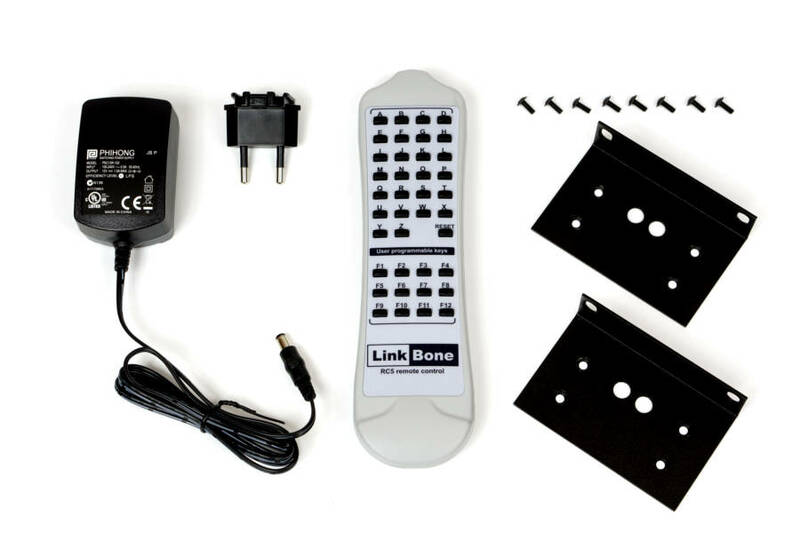 The included infrared remote RC5 control allow manual change of switch state by a press of a button.